Overnight, Elon Musk finally presented the long-awaited update to his Mars plans from the IAC annual conference in Australia (thus the overnight thing). 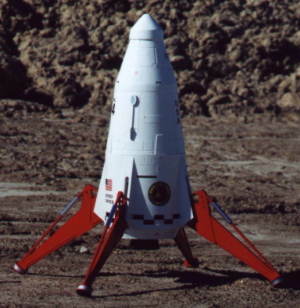 Dragon V.3, as predicted by Estes in the late 1970s. Or not. SpaceX finally gets real, according to Ars Technica. Meanwhile, The Verge notes that Musk is throwing everything at Mars. Let’s hope he chooses wisely. Imagine an A380 landing on its tail. Yeah. Every nerd’s favorite company, SpaceX, has been on a roll lately. They’re on track for a record year, including the debut of the eagerly anticipated Falcon Heavy. It’s no secret that I’m a big fan, and it’s likewise no secret that I’m not a big fan of unaccountable bureaucracies that treat our hard-earned taxes like Monopoly money. Unfortunately this category often features the *other* perennial nerd favorite, NASA. Equally unfortunate is how conservative press outlets can almost always be counted on to utterly misunderstand and misreport the goings-on of both. While Americans might love that NASA has a space-defender position opening, what they don’t love is how NASA is shielding companies from their mistakes. SpaceX, a company that usually gets much love among conservative and libertarian circles, cost the taxpayers $110 million when one of its rockets blew up in June 2015. The company still received 80 percent of its expected payment, and we still don’t know why the rocket failed on its mission to resupply the International Space Station. 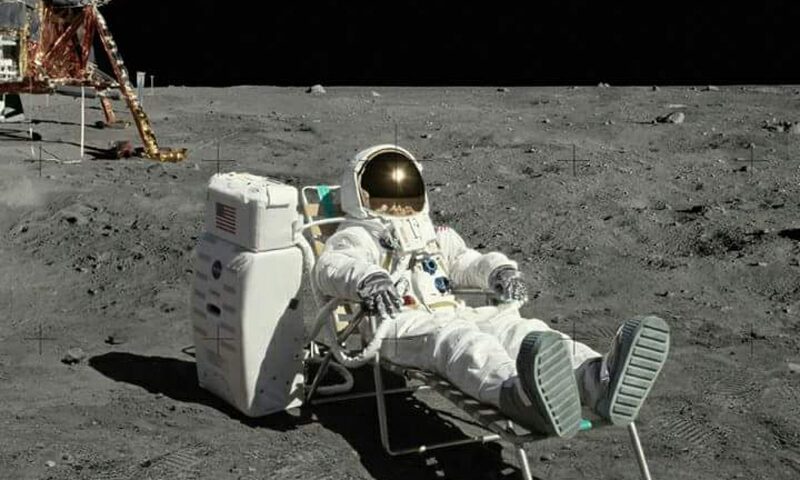 …It’s also funny because NASA didn’t do that when it came to another company. In October 2014, Orbital’s rocket blew up, costing the taxpayers $51 million. It was an FAA-licensed flight. It was conducted under the same NASA Commercial Resupply Services (CRS) program of which SpaceX is a part. Both involved aging rockets. Yet NASA still put out an executive summary for the Orbital incident within a year. Lots of self-serving doubletalk at the link, but I think it’s clear that something doesn’t pass the smell test. Does SpaceX have quality-control problems? Beats me. I’m in no position to tell, but it feels like the root-cause investigations of last year’s events were wrapped up awfully fast. This comes from someone who really wants them to succeed. For just one example of the ancillary benefits, here’s how they finally got Canaveral’s range control to modernize. It often (okay, usually) takes private industry to drag government agencies into the future. That won’t happen if they’re whitewashing potential failure points. This project has been fascinating to watch. While the rest of us spent Labor Day weekend kicking back and grilling brats, these guys were riding the Andes’ mountain wave to 52,000 feet and a new world record. In a glider. Worth noting that the previous record holder is Perlan I, which now resides in Seattle’s superlative Museum of Flight. And they’re not done yet. 52K is only a little more than halfway to their real goal: 90,000′. They’re hoping to scrape 100,000′. Pilot freaks out passengers with ‘horrific’ tornado warning. Another PR victory for United! There were tornado warnings across Warren County in New Jersey and in parts of Pennsylvania late Tuesday as heavy rain pummeled the mid-Atlantic region. When the plane finally prepared to taxi, the pilot got back on the intercom to notify the passengers that the plane had to return to the gate because of a maintenance issue, Kent said. The Captain is probably Chicago-based, running a couple of round trips a day to EWR. The crowded airspace and concentration of busy airports in the NY area makes it notoriously sensitive to weather delays. The slightest threat of thunderstorms in the morning will start ground delays to NY by lunchtime. I’m sure the weather was dog crap. I’m equally sure his dispatcher planned his route, fuel, and alternate(s) accordingly. And I’m dead certain that if he had any disagreements with his release, he could either work out a better plan with his dispatcher or refuse to take the flight. Either one of them has the authority to do so. In reality? Airlines can be stingy with contingency fuel, and nobody wants to be “that guy” who refuses a legal trip. So in classic passive-aggressive style, he decides to frighten the passengers so everyone can share in the misery. Just my two cents. Could be wrong. Antifa stabs man for his “Neo-Nazi” haircut. Because his hipster ‘do looked Alt-Reich. A handy rule of thumb: if you’re randomly assaulting people for suspected Fascism, surprise! You’re the Fascist! I’m convinced that we’ve become so hopelessly polarized that the only thing to snap us out of it will be some kind of national cataclysm. The problem with cataclysms is they’re, well, cataclysmic. You can’t know what form they might take and there’s no guarantee of a happy ending. And for certain groups, it’s exactly what they want. So I take a few months off from the blog to finish Frozen Orbit, and you guys just up and trash the place. Seriously, is everybody a Nazi now? While I finish collecting my thoughts on the latest craze (“Everyone I Hate’s a Nazi!”), here’s one that’s almost as sickening: Funeral Selfies. For realz. Because these people are probably considered “normal” in polite company. UPDATE: Original photo replaced with something more civilized, in step with the original piece from Sad and Useless Humor.